Can children learn from video games? 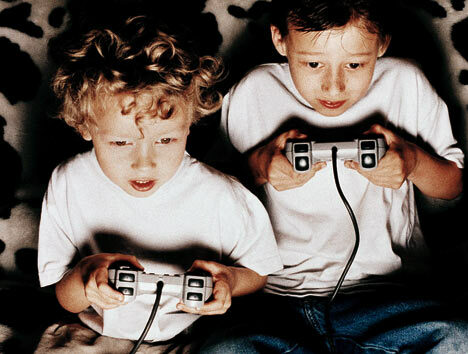 Video games are taking over and many argue that children learn from video games. I do believe that children can learn from CERTAIN video games, but not all. Children are not learning from video games where they are robbing stores, killing people, or bombing a certain race. The only thing children are learning from those type of video games are violence and how to hate a certain group of people. These video games make it okay for children to kill off an entire race of people, sell drugs, or run over people with cars. That is not the real world. If we teach children that all of these negative things are okay by including them in video games they are going to grow up wanting to do the things they learned from these video games. However, there are video games that are educational and do help children learn. They help children solve problems, strategies, learn math, etc. There are also many educational apps that help children with math, reading, learning the alphabet, or writing. If we are going to use video games as a way for children to learn, they need to be educational video games and not video games where children are only learing to kill people.